The US Masters 2019 takes place from the 11th to 14th April 2019 at the Augusta National golf club. This is one of the four golf majors along with the US Open, The Open Championship and the US PGA Championship. Bookmakers pay out extra places for each-way bets on these major tournaments. The savvy Matched bettor can back and lay numerous golfers – aiming to trigger an extra place payout. When betting each-way on golf – your stake is split in to two equal parts. 1). One half of your stake is backing a golfer to win the tournament. 2). The other half of your stake is backing a golfer to place (i.e. finish in the top 5 places). £10 each-way at 10/1 (11.00) with 1/4 odds to place is a total stake of £20. £10 of the stake is to win at 10/1 (11.00), and £10 is to place at 5/2 (3.50). To calculate the place odds in decimals, take the fractional odds of 10/1, divide by 4, then add 1. If your golfer finishes in the extra places, you win both sides of the matched bet. Your back bet wins at the bookmaker (+£25) and your lay bet wins at the betting exchange (+£10). Your profit potential increases in proportion to your stake. However, larger stakes may incur a higher qualifying loss, unless you bet on an arb. Matched betting on golf majors is challenging due to the sheer number of competitors. The US Masters has an an unusually small number of golfer. 87 players are expected to start the tournament, which is a good opportunity for matched bettors. 1. Matched bet several players. 2. Minimise your qualifying losses. Only bet each-way on a golfer with closely matched back and lay odds. Use Oddschecker to find potential matched bets. The best price for each golfer is shown in bold underlined text. Look for close odds matches in comparison to the exchange lay markets (‘Winner’ and ‘Top 5 Finish’). Most bookmakers offer between 6 and 10 places at 1/5 the odds each-way. Betfred is one of the few bookies offering 6 places at 1/4 the odds each-way. Navigate to Betfair or Smarkets and lay both parts of your each-way stake. 1). WIN PART: Place a lay bet on your golfer in the “tournament winner” market. 2). PLACE PART: Place a lay bet on your golfer in the ‘Top 5 Finish’ market. You should aim to slightly underlay both lay bets. Underlaying yields a small profit if your golfer wins or finishes in the top 5 places, whilst minimising qualifying losses. You can also lay in the “Top 10 finish” market at Betfair Exchange for Betfair Sportsbook, Coral, Paddy Power and Skybet 10 places. The default exchange lay market is for 5 places. Therefore, bookies paying anything from 6 to 10 places gives up to 5 extra places to aim for. 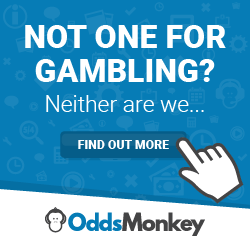 Betfair Sportsbook, Coral online, Paddy Power online, Skybet. You can overlay the place part in the “top 10 finish” market at Betfair – to give a risk-free shot on the win part of your each-way bet. Bet365, Betstars, Paddy Power shops. Ladbrokes online, Unibet, Coral shops, Boylesports, Sportpesa, 10bet, Sportingbet, Bethard, 888Sport, MoPlay, SportNation. Please check Oddschecker for the latest extra places information, as bookmaker traders can change the place terms at any time. Please check if you need to opt-in before placing a qualifying bet for each offer. MansionBet: Opt-in, Bet £20 on the outright winner. Get £10 in-play free bet. 888Sport: Opt-in, Refund as a free bet (up to £20) if Tiger Woods or Justin Rose win the tournament. Toals: Opt-in, Bet £20 on outright winner, get £5 in-play free bet to use on the final 2 rounds. Jenningsbet: Refund if Tiger Woods wins. Betfred shops: Bet £10 on the US Masters outright winner coupon, get £5 in-play free bet voucher. Netbet: Opt-in, Bet £20 on outright winner, get £2 free bet for each shot under par your player finishes day 1. Betway: Opt-in, Bet £20 on outright winner, get paid as a winner if your player leads at the end of any day. Boylesports: Opt-in, Bet £20 on outright winner, get £20 free bet if your player finishes 2nd, 3rd or 4th. All of the above offers are back and lay a golfer, then either receive a free bet or hope to trigger a free bet.